Facebook has hired former deputy Prime Minister and leader of the Liberal Democrats Nick Clegg as its new comms and global affairs lead. Clegg will take up the Silicon Valley-based position on Monday, succeeding Elliot Schrage, who announced in June that he would leave Facebook after a decade. He will work at the social media giant's global headquarters next week before returning to London until January when he moves to California with his wife Miriam González Durántez and their three children. The Financial Times, which broke the story, reported Clegg agreed to take on the job "after months of wooing" by Facebook chief executive Mark Zuckerberg, who told him he would "have a leading role in shaping the company’s strategy". Zuckerberg and chief operating officer Sheryl Sandberg were heavily involved in the hiring process and have spent a lot of time with Clegg already, the former MP said. Clegg said he was struck by Zuckerberg's and Sandberg's recognition of Facebook's "journey" as it faces up to new responsibilities regarding brand safety and user data privacy. He added: "Facebook, WhatsApp, Messenger, Oculus and Instagram are at the heart of so many people’s everyday lives – but also at the heart of some of the most complex and difficult questions we face as a society: the privacy of the individual; the integrity of our democratic process; the tensions between local cultures and the global internet; the balance between free speech and prohibited content; the power and concerns around artificial intelligence; and the wellbeing of our children." Before losing his seat in last year's general election, Clegg was MP for Sheffield Hallam from 2005. He replaced Richard Allan (now Lord Allan), who went on to join Facebook in 2009, where he is vice-president of public policy for EMEA. In August Facebook lost its VP of communications for WhatsApp, Instagram, and Messenger Rachel Whetstone, to Netflix, despite her being tipped as a contender to replace Schrage. Earlier this week, Facebook announced a range of transparency measures including demands that UK political advertisers verify their identity on its platform. Clegg joins in the year of the "techlash", during which Facebook has suffered a 6% decline in brand value compared with 2017 – in the wake of the Cambridge Analytica data misuse scandal – according to Interbrand's 2018 Best Global Brands report. 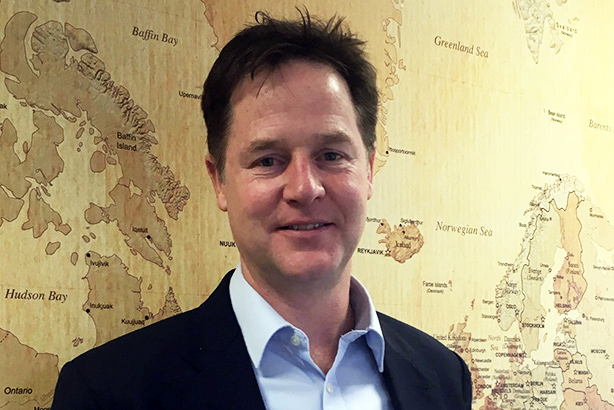 Sandberg said of Clegg's appointment: "Every day people use our apps to connect with family and friends and make a difference in their communities. If we can honour the trust they put in us and live up to our responsibilities, we can help more people use technology to do good. "That’s what motivates our teams and from all my conversations with Nick, it’s clear that he believes in this as well. His experience and ability to work through complex issues will be invaluable in the years to come."